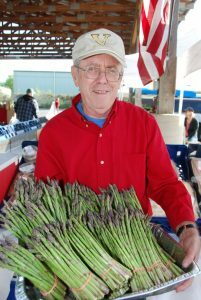 The Franklin Farmers Market is community driven Saturday morning farmers market bringing together the best local farmers in the state of Tennessee. We are committed to providing the highest quality locally farm grown or Tennessee produced products possible. We consider many factors in the selection process of approving every vendor application we receive. The FFM board requires that all market vendors “make it, bake it, raise it or grow it” and the board reserves the right to accept or refuse anyone as a farmer market vendor. 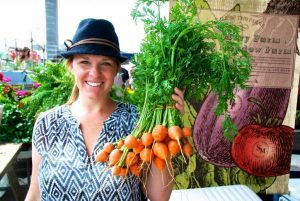 Important factors in our selection process for farmers and vendors include product quality, growing practices, presentation, product uniqueness, eco-friendly or recyclable, marketing practices and the right product mix to ensure a successful farmers market experience. You will be contacted to provide any additional needed information and/or samples of your product for review by the board. We are currently full in the product categories; baked goods, artisan crafts, meats, soaps, and woodwork. We kindly request that you not approach market management regarding your application during market hours. Much time and effort go into preparing for our most important 5 hours on Saturday to support all our Farmers, Bakers and Artisans. We do not interview new vendor applicants on Market Saturdays. To become an approved Farmer, Artisan or Prepared Food vendor, please click on the “Apply to Market” button below. Please read the 2019-2020 market’s rules and regulations with this downloadable pdf file.